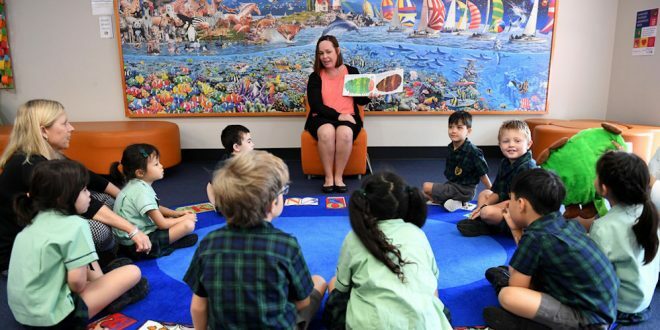 The Grattan Institute has recommended the delivery of the government’s proposed schools plan be accelerated, and a new body established to keep funding at arm’s length from politics. These are among changes urged in a submission to the Senate inquiry on the schools legislation. They come as the Greens are looking for amendments to advance as they consider whether to back the bill. Meanwhile, the government is hoping Catholic opposition to its plan is softening. Prime Minister Malcolm Turnbull told Tuesday’s Coalition partyroom meeting that Catholic criticism was beginning to abate as people realised how much additional funding would be going into the sector. But in a submission to the inquiry, Catholic School Parents Australia – which said it represented the parents of more than 750,000 students in Catholic schools across the country – declared the government’s plan would “unfairly undermine the Catholic sector’s ability to offer affordable and accessible Catholic education to all those who seek it for their children”. Education Minister Simon Birmingham rejected the NCEC claim, saying the Catholic system seemed “to be making some wild assumptions”. The Catholic system has benefited from special deals in the current arrangements. Under the proposed purer Gonski needs-based model it would lose these, although there would be some limited transitional help in particular circumstances. Written by Peter Goss and Julie Sonnemann, the Grattan Institute submission says school funding is “still a mess”, six years after the 2011 Gonski review. The Labor government’s 2013 education act was “a step forward but not a solution”. Labor’s 2016 election policy “would have added megabucks but still not have achieved consistent needs-based funding for another 100 years”. The Turnbull government’s proposal “is the best plan yet” which “should be embraced by all sides of politics” – provided some adjustments are made, the submission says. First, all schools should get the Commonwealth target funding by 2023, four years earlier than under the ten-year plan. Under the current proposal, “most of the spending is promised beyond the budget forward estimates, creating a risk that much of it won’t eventuate. And very underfunded schools will need to wait too long to get the extra money they need,” the submission argues. This “more aggressive” transition could be financed having a floating rate of indexation from 2018 rather than the anticipated 2021. Second, more should be done to ensure the states step up. The Commonwealth proposal only to require the states to maintain funding per student at 2017 levels “won’t be enough”. Third, the government should strengthen funding governance with a National Schools Resourcing Body. This was recommended by Gonski. The submission points out that schools are usually an election issue and “there will still be political pressure to respond to specific groups”. The body would keep the funding at arm’s length from politics and ensure the funding formula and sectoral allocations were internally coherent and met the stated policies. Fourth, this new body should do a review of the SRS within a year. It should look particularly at the accuracy of the “parent capacity to pay” component for non-government schools, which relies on school catchment SES scores. Fifth, the government should provide detail about the overall comparison of its plan with the 2013 one, and the impact on individual schools. Last, the new Gonski review – into how to achieve educational excellence – should be broad but also give priority to a small number of reforms that are “achievable”. Greens leader Richard Di Natale this week said there needed to be an independent national body to inject some transparency into the system, and states should be forced to meet their fair share of funding. This article was written by Michelle Grattan, Lecturer, Monash University. First published on The Conversation. Previous Support from your principal: are you asking for it?